in the seminar in Taiwan we were able to experience many special moments together, each one of them unique. We shared with you our latest insights and knowledge. The Hellinger sciencia® Constellations unfolded before our eyes, they are like a new life. With every inner and open movement, that we and all those present developed and could perceive throughout the seminar, new levels, new solutions and healing revealed themselves for many participants. 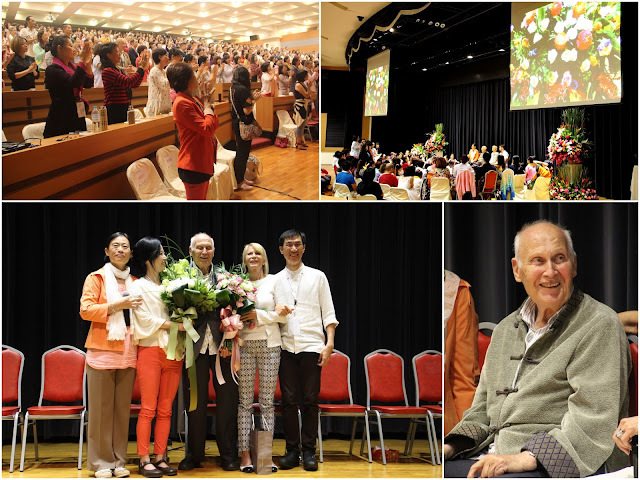 Through the seminar in Taiwan a COMMON field has been created, which contains the full potential for each one of us. It is something exciting and thrilling, on the way to the NEW. The experience grows with every seminar and together we keep moving ahead. Participants from over 35 countries create a unique and powerful field that explores and sounds the depths and wideness of the soul and the movements of the spirit. Only you can make the experience for yourself, nobody can live it for you! We become conscious co-creator of our own life and success! We welcome you to Germany! If you have never been abroad or so far away from home that you couldn’t speak you own language, don’t worry. We, together with Elise’s and Imogen’s support, will help you with everything. This way you will arrive safely and your journey will become an unforgettable experience and delight. Embark on this journey that will lead to far away, as well as into the wideness and depth of the soul and the heart!